Your truck is an investment — so why not choose the best bedliner product to protect its value? Offering unrivaled protection at an affordable price, LINE-X Spray-On Bedliners are designed to give you complete peace of mind. Rest assured knowing that your truck is protected from damage caused by harsh chemicals, leaks, rust, and corrosion, keeping your investment looking great and performing even better day after day. Engineered to meet the needs of any truck owner, whether you’re a farmer, hunter, contractor, or weekend warrior, LINE-X bedliners feature sound-dampening, impact-absorbing materials that are permanently bonded to your truck, protecting your investment for the long haul. 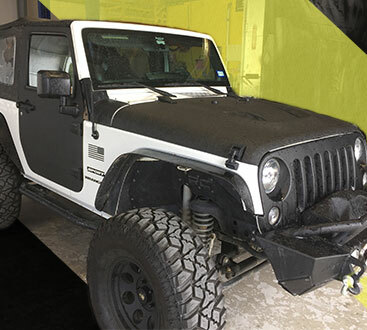 As an authorized dealer for LINE-X products, LINE-X of Austin is proud to offer professional, guaranteed bedliner installations. Every LINE-X bedliner is carefully applied by our highly trained technicians who closely monitor the caliber of their work, ensuring a consistent, quality application to every truck, every time. Offering protection you can count on, LINE-X bedliners are guaranteed not to crack, bubble, or peel, or flake. We believe in our product so much that it is backed by a comprehensive nationwide lifetime warranty. As long as you own your truck, you’re covered. 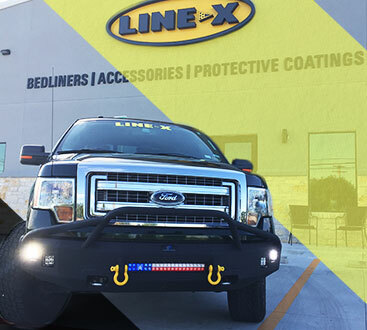 In the highly unlikely event that your truck incurs damage that isn’t covered by the lifetime warranty, your LINE-X bedliner can be seamlessly repaired at LINE-X of Austin. LINE-X of Austin is well-equipped to handle all of your aftermarket truck and off-roading needs. Contact us today to get started!